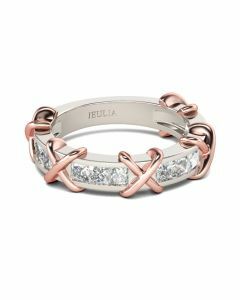 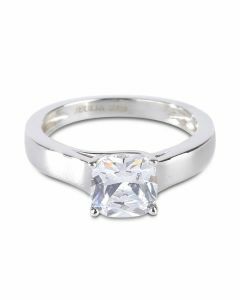 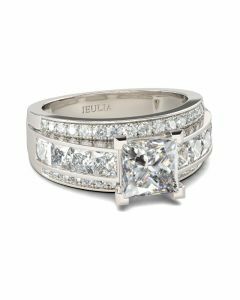 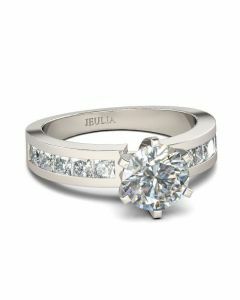 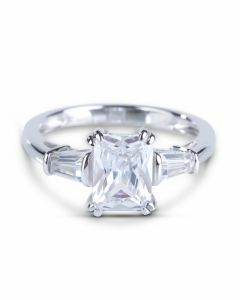 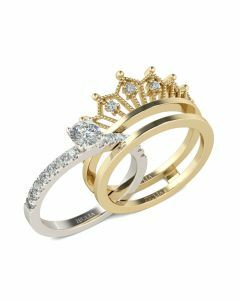 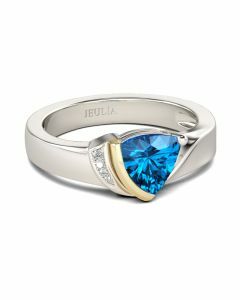 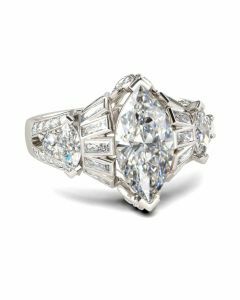 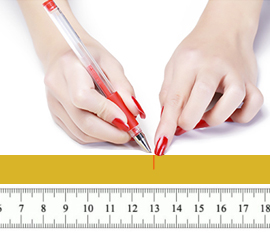 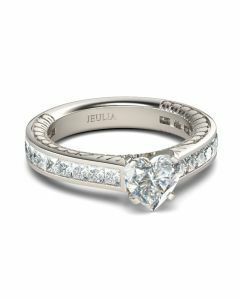 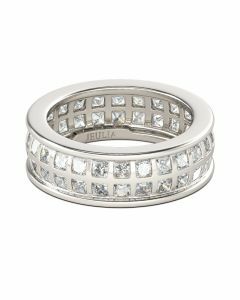 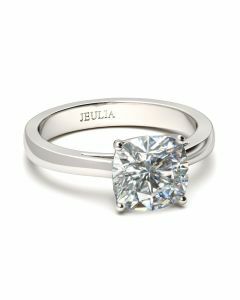 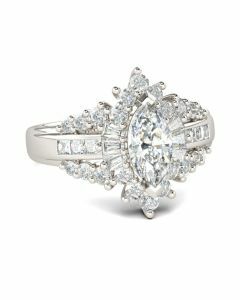 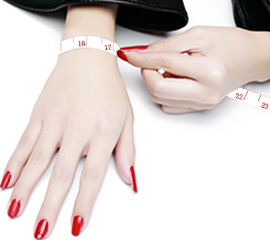 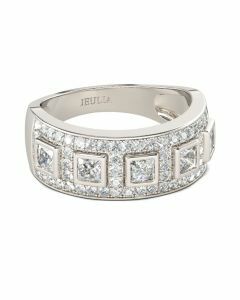 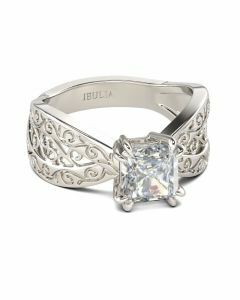 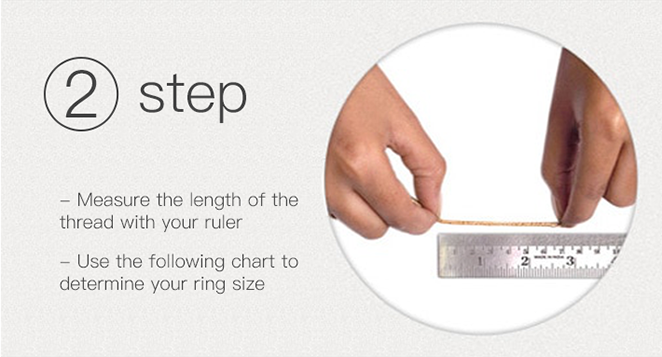 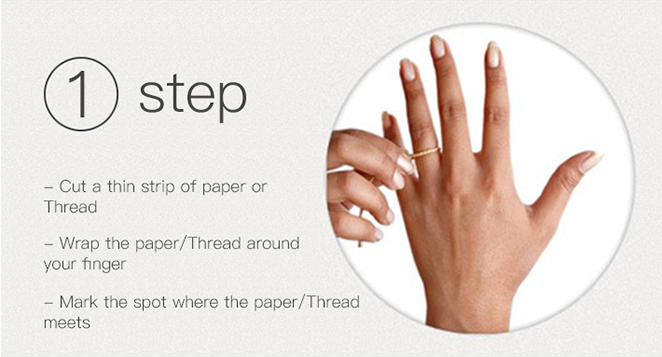 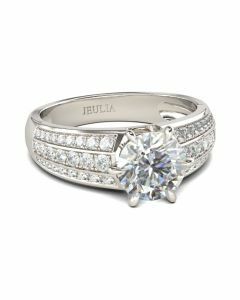 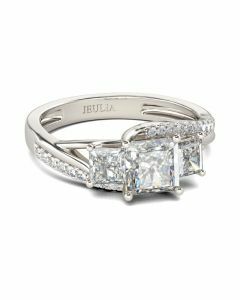 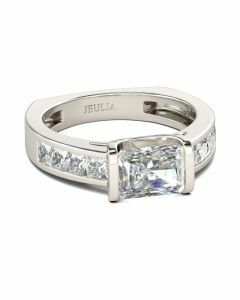 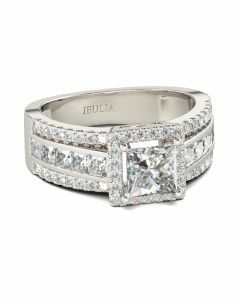 Complementing her engagement ring or worn on its own, this wedding band is the perfect token of your love. 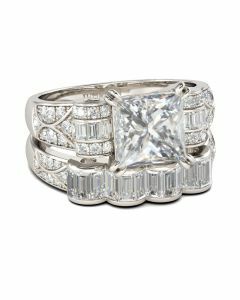 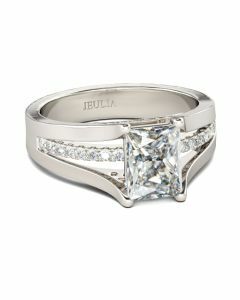 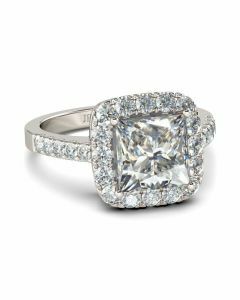 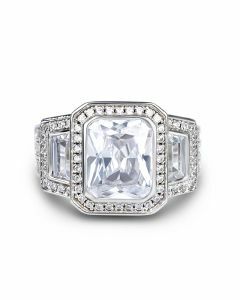 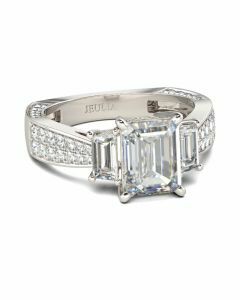 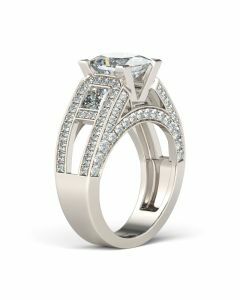 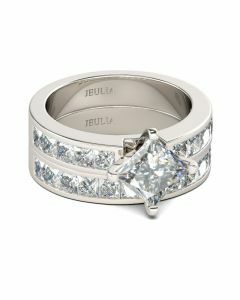 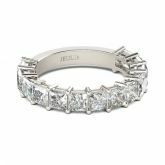 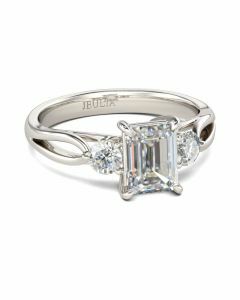 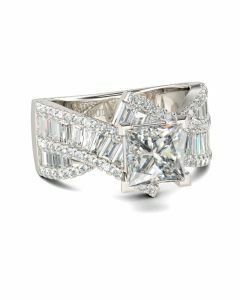 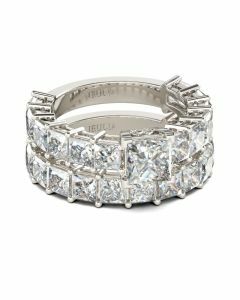 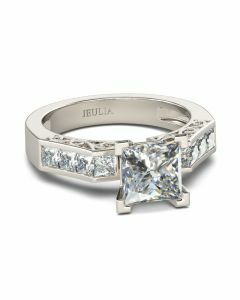 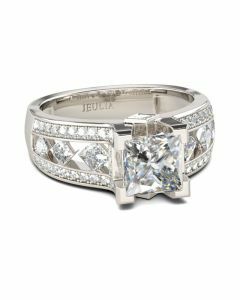 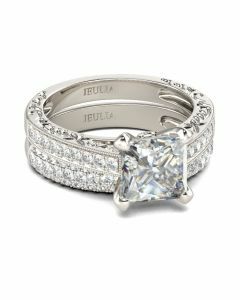 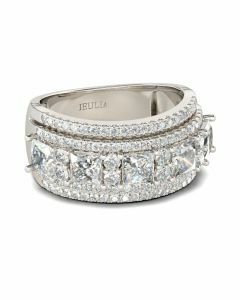 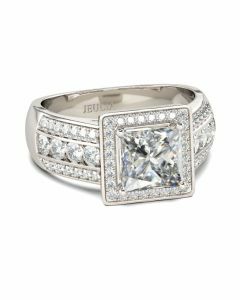 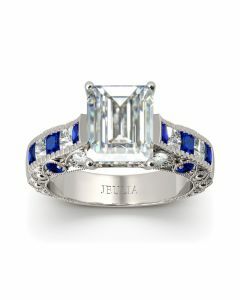 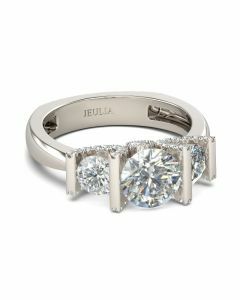 This elegant band features glittering princess-cut stones artfully arranged across the band in durable prong settings. 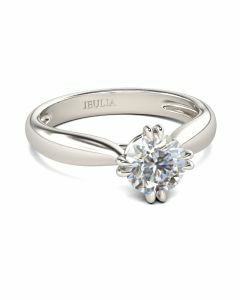 It is a brilliant reminder of your everlasting romance.